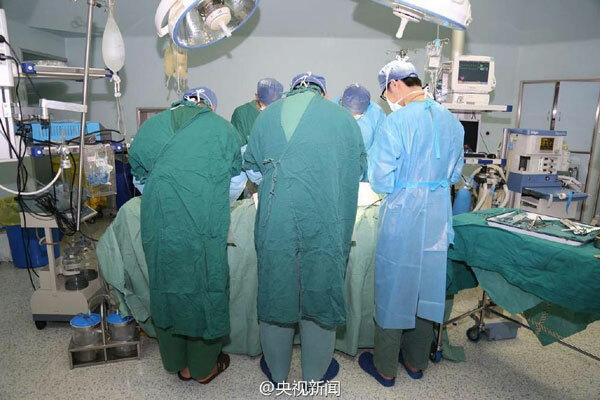 China already ranks second in the world in terms of the overall number of organ transplant operations. But one obstacle remains: a shortage of supply. According to Thepaper.cn, demand still outstrips supply, as the ratio between donation rates and demand currently stands at 1:30. Only 3 in every 100 million people voluntarily contribute their organs for transplant. Each year, more than 1,500,000 patients need transplants, but last year only 2,766 people donated major organs to be used after their death. Nevertheless, that was almost double of the number seen in 2014. China now has the most registered organ donors in Asia and the second highest number globally - more than 65,000. But only 7,400 of those have resulted in a transplant. Many people still hold to older cultural traditions, which in many cases call for bodies to be buried or cremated intact. China ranks second in the world in terms of the number of organ transplant operations, but faces a shortage of supply.